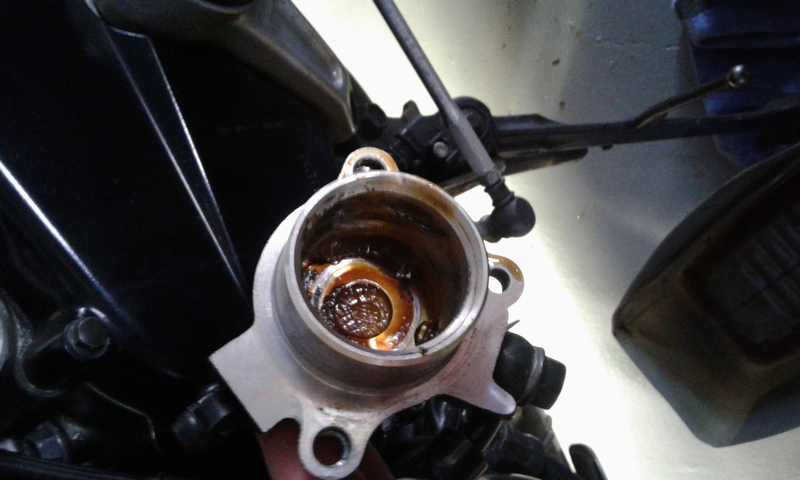 So recently I have had to add clutch fluid. First time this has happened. No visible signs of leaks at either banjo and hose is a new SS one. Whats my next check/fix the slave seal? Yep. Happened to me recently. It was nasty in there and way overdue for a rebuild. I also hit the master too just to complete the system. 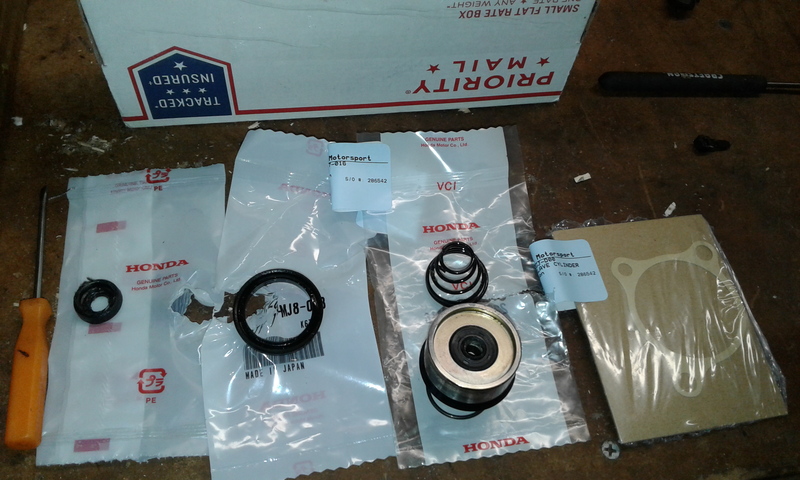 Here is the thread with the part numbers. Parts were cheap enough that I just replaced them all with OEM. Master kit was a made in Japan K&L. Is it a drive out press in deal? Any special tools? Zero special tools. Just replace rubber seals, nothing special needed. Cool man thanks, ordered mine. Your fluid is probably in there mixing it up with gunk. Mine was horrid. I was a bit ashamed it got that bad. Found this last year. Before that, I've always relied on vac (mitivac). This method works much better IMO. More good info thanks again. I have one of those syringes for fork oil. Haha, ok so that was for sure the nastiest part on the whole bike. Totally caked with crud. Scrubbed it, honed it with 400 grit, installed the rebuild kit. Quick bleed and hopefully its ok.
Should be ok unless you push some of that crud down from the master. This was a cbr1k I refurb'd a few weeks ago. Mine wasn't near this bad but it did have a little in there. But that's the master right? 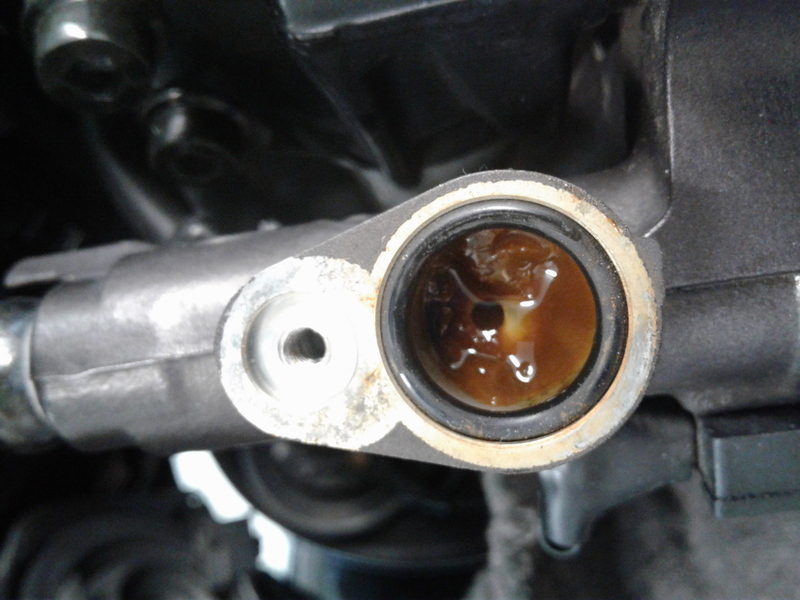 I should look at that too but I am good about changing and flushing fluid. The slave was worse than anything you pictured above. Glad its done. I really didn't need a kit, a good thorough cleaning would have sufficed but I figured while I was in there, might as well. I really should look at the master too, but will have to wait a few days. Looks like rain the next 2 days so I will commute but probably wont wrench. Heat wave is coming later this week. Eager to get back aboard, I detailed both bikes so I can ride with pride. Yeah like Thursday for us, guessing it gets to you sooner. I am slightly sick of commuting in the rain but its a pretty easy ride compared to last year. I washed the bike today but its wet tomorrow so short lived clean. The closed system is a bit funky for fluid changes in that, just pumping fluid from MC res to the slave bleeder does not tend to carry out with it contaminants, to include sluge that has built up form the water absorbed into the hygroscopic fluid we use. 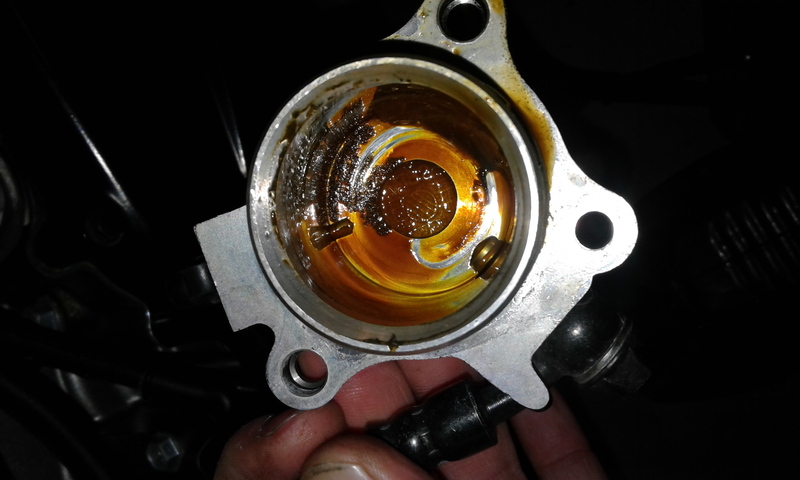 that sluge continues to build with every bit of atmospheric moisture that makes it into the system until it builds enough compressibility to hinder correct operation, or corrodes, damages the seals, piston, cylinder to cause an issue. The only way to "clean" the hydraulic system is to disassemble and really clean each part. 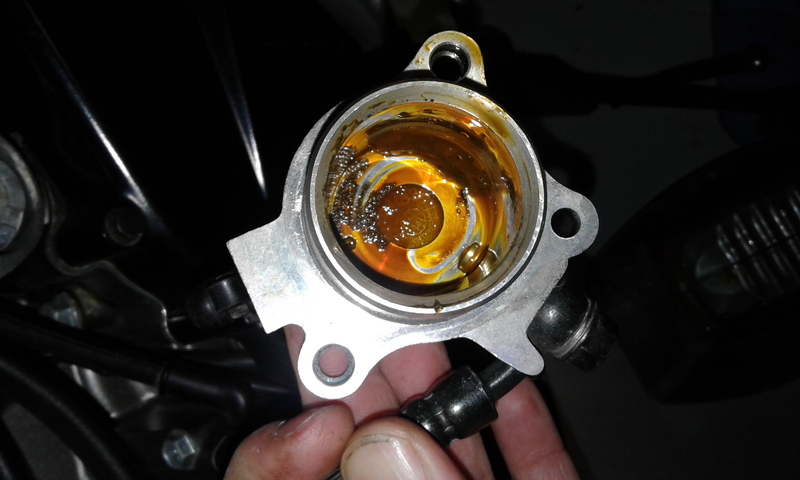 You can delay that for years by replacing fluid a couple of times a year. Yeah, the cleaning of the master is on the list but after this monsoon passes. Once a year for me. Usually in the spring but not during the monsoons cause the air is too moist. I like the Motul rbf600, it's very thursty though, lol. Video- Brake fluid change plus facts about brake fluid types.